Mike McLatchey hasn't written for Exposé for several years now, but we're welcoming him back to our "pages" with his occasional series of reviews of his favorite albums of all time. The reviews were originally posted on his Facebook timeline, but we're republishing them here for wider exposure. We'll start off with his "top tier" — those albums, regardless of genre, that he likes best. Some are relatively recent, some are of older vintage, but all have a special spark. They're numbered more or less alphabetically, but we'll be posting them in no particular order, since being too organized just isn't the Exposé way. 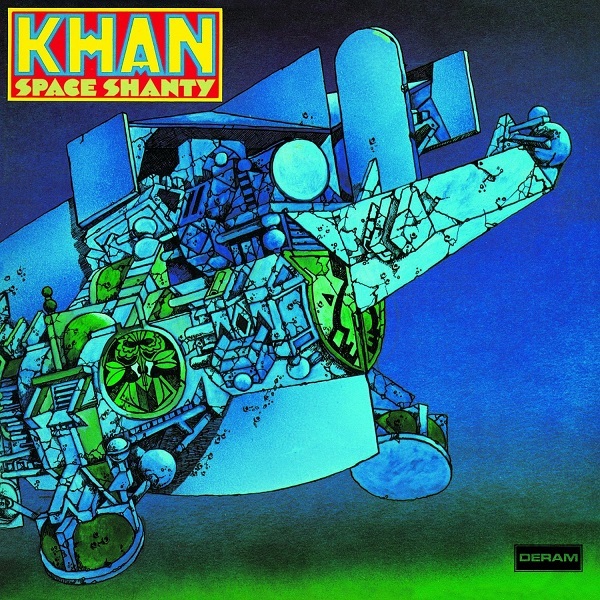 First out of the gate is a real gem out of the early Canterbury scene: Khan's Space Shanty. This is a particular favorite of mine as well, with outstanding keyboard work from Dave Stewart and of course Steve Hillage's guitar.